The spring weather is finally here! We don’t waste anytime getting our BBQ fired up. The first marinade of this BBQ season is my Amazing Marinade with Trader Joe’s 21 Seasoning Salute. 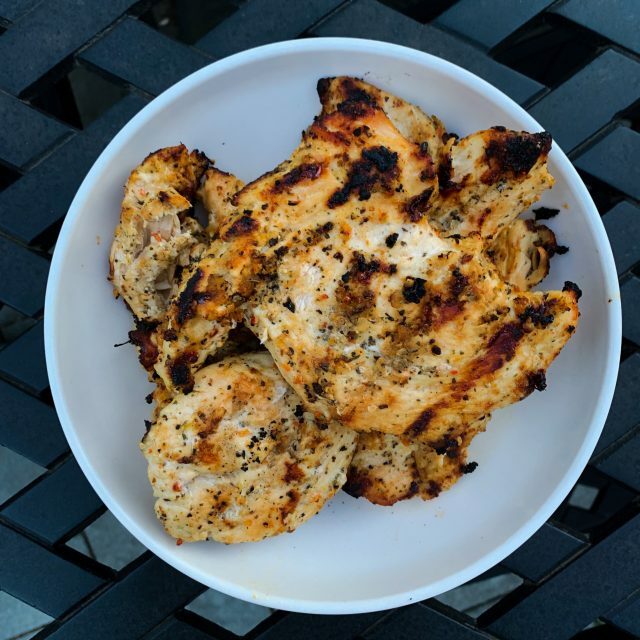 This marinade is quick, simple and flavorful and goes with any sort of protein or veggies that are grill worthy. 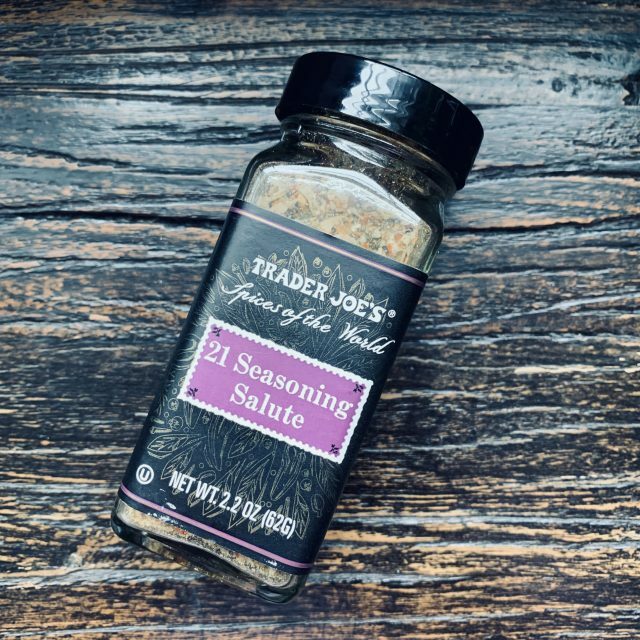 Amazing Marinade with Trader Joe’s 21 Seasoning Salute has the perfect blend of herbs and spices that Trader Joe’s is famous for creating. My little one loves it! Anyone who has kids knows the struggles of getting them to eat sometimes. But this marinade on chicken worked like a charm. 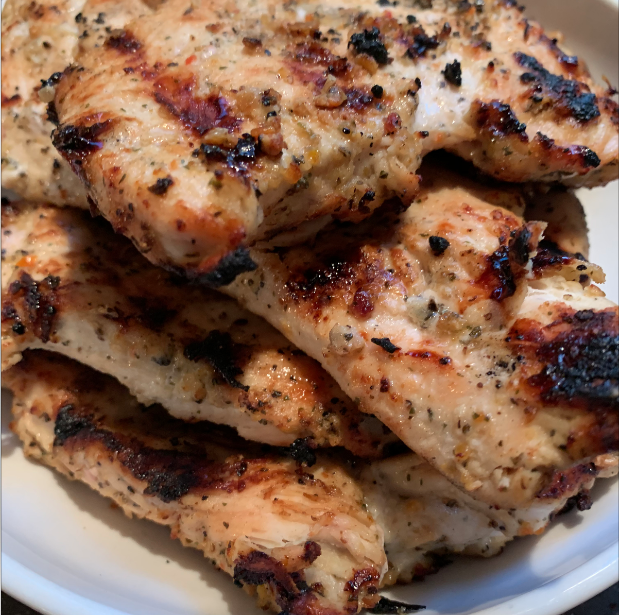 This marinade is quick, simple and flavorful and goes with any sort of protein or veggies that are grill worthy. Add the seasoning to citrus flavored oil, vinegar and a touch sugar and Amazing Marinade with Trader Joe’s 21 Seasoning Salute is the perfect blend of sweet and savory with a hint of spice that enhances almost any dish. Leftover BBQ chicken with Amazing Marinade with Trader Joe’s 21 Seasoning Salute is great cold or reheated and is perfect for wraps or as a topper for salad. 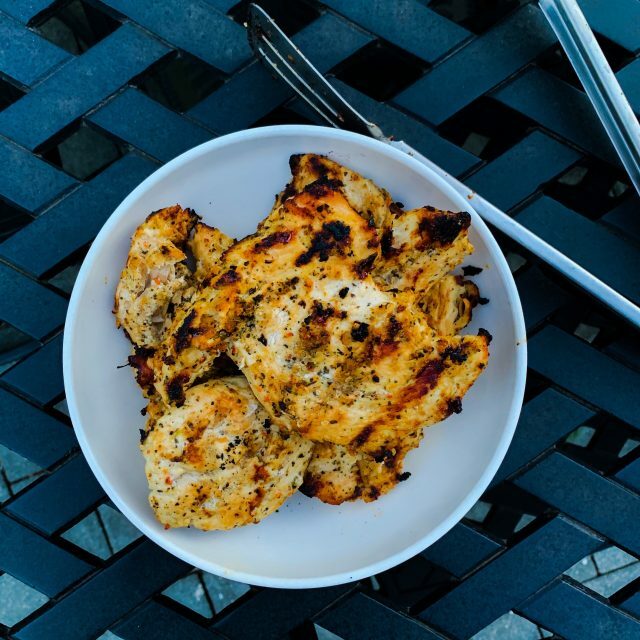 You can make multiple batches of this marinade to prep dinners. Place your meat or produce in a freezer safe container or bag along with marinade and freeze it. Just take out pre-portioned amount in the morning and it be defrosted and perfectly marinated by dinner time. Just BBQ and dinner is served! Pour mixture in container or zip lock bag and coat evenly 1-2 lbs of chicken, fish, beef or cut up veggies. Place in fridge and let marinate for 2 hours before grilling.